Payday loans have been used frequently by people around the country. Since they come with high rates of interest and fees, the government of Ontario has enacted Payday loans act, which restricts the maximum rate of interest charged on the payday loans. The act also provides certain rights to consumer taking payday loans. Consumer protection concerns regarding the payday loans have recently been in the news. You can get both licensed and non-licensed payday lenders in the market. The licensed lenders offer products on short term credit to the consumers, which is similar to the payday loan service. Such kind of credits is not termed as payday loans by the lenders so that they can attract more consumers. Ministry of consumer service is examining currently if these product credits apply to the lending rules of Ontario. It is important for the customers to know various rights and if they feel violated at any time under the 2008, payday loan acts then they much get in touch with the ministry at 1-800-889-9768 and let them know about the violation they are facing. A lender cannot charge you over $21 for every $100 that you borrow. This is the maximum cost of borrowing and if he goes above the cost then it must be brought to the notice of the authorities. A borrower is eligible to obtain the complete amount of your payday loan without any indirect deductions for fees or any other charges. A borrower is entitled to use his payday loan straight away after finalizing a payday loan agreement. The lender may proffer to give loan to you through debit card or cheque. However, they are not allowed to charge any additional fees for this if the charges increase over the cost of borrowing to over $21 for every $100 then you must report. A borrower get a time of 2 business days to cancel or change his mind regarding his payday agreement without any penalty. A borrower cannot get a second payday loan from one lender until and unless he repays his first loan completely. The lender is not allowed offer goods or other services to the borrower like insurance concerning the payday loan agreement. The payday lenders in Ontario must have a license issued by Ministry of Consumer Services and fulfill with the requirements of Payday Loans Act, 2008. These laws and regulations are made for people living Ontario so that they can choose payday loan schemes without having to pay huge amounts of fees. The maximum cost of borrowing of payday loans in Ontario is still higher than the other forms of borrowing available. 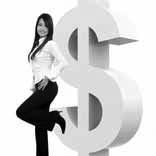 One should explore other lending options available before borrowing a payday loan advance. These rules and regulations have been enacted as earlier different companies were charging different rates for the loans and the rate of maximum borrowing was so high that a borrower had to repay almost four times the money borrowed annually. How does Ontario protect payday loan borrowers? It provides a two-day “cooling off” period to the payday borrowers to cancel their payday loan for no reason without paying any penalty. Also, maximum total cost of borrowing is $21 per $100 borrowed. It cannot exceed over this rate. Are you thinking about taking a payday loan? As a customer in Ontario, you enjoy certain rights. You must keep the checklist mentioned below to keep in mind when applying for a payday loan. Advertisements Advertisements for the payday loans that talk about the maximum cost of borrowing should also provide you definite added information, like what would be the maximum cost of a loan if you borrow $300 for a period of 14 days. Limits on total cost of borrowing Ontario legislation has put a maximum limit on total cost of borrowing that can be charged by the payday lenders and the customers entering a payday agreement. Payday lenders cannot charge over $21 for each $100 borrowed by a consumer. Prohibited practices The law prohibits certain practices under the payday loan act, 2008 like “Rollover” loan. “Rollover” loans ban the lender to give a new payday loan to the consumer until and unless he has paid his previous loan completely. An immediate advance Your lender shall give you loan money immediately after entering into a payday contract. 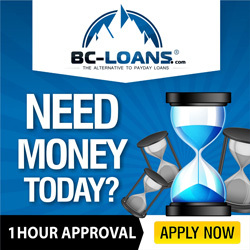 If your payday agreement is entered over the phone or the internet, then the payday lender has 1 hour’s time to give your loan sanctioned money. The broker or lender cannot deduct any money from the amount of payday loan as fees or other charges. For instance, if you took a loan for $300, then you are entitled to get $300. The lender cannot deduct the any amount as additional charges or fees. The above mentioned rights will help you in getting complete money without any extra charges or fees from the lenders. Also when you know your rights, you can report a lender if he threatens you or tries to charge any extra money from you. 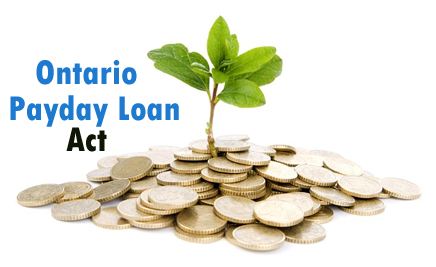 The Payday Loan Ontario agreement act, 2008 enacted the above mentioned rights in Ontario . So next time you are thinking of taking a payday loan, you must read these rights before going to the lender so that he cannot trick you.